Courtesy of Connie Miller, Alain Pinel Realtors. Live with storybook charm in this Victorian-inspired home located on a tree-lined street. 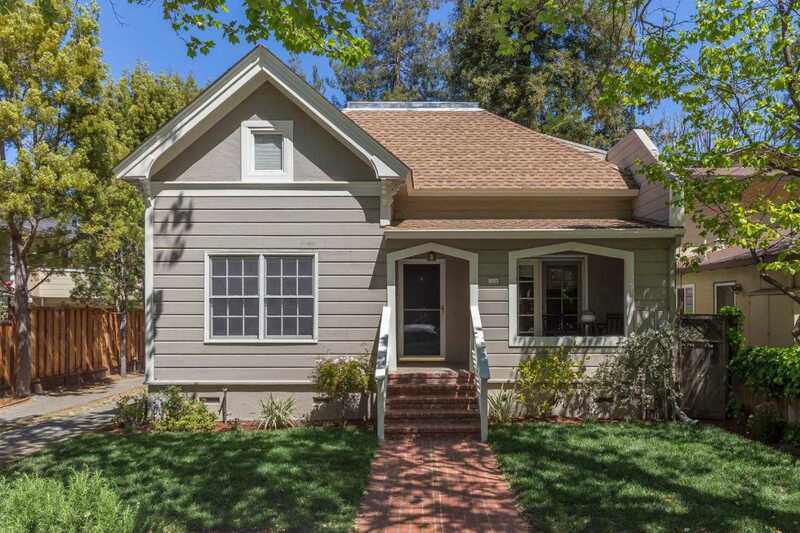 Just one block from the Atherton border and less than one-half mile from the Menlo Park train station and downtown dining and shopping scene, this location offers the ultimate in convenience. The period details of the exterior blend with updated conveniences inside for a comfortable living experience. This and the house behind it are deeded as condominiums that share the driveway and turn around. In addition to the 1-car garage, this house has a second off-street parking at the asphalt strip behind the kitchen per the CC&R’s. Large attic space for a large amount of storage easily accessible from top landing.